I found this yarn during one of my trips to JoAnn's (I have one less than 10 minutes from my house! ): Everyday Soft Worsted, Deborah Norville Collection. It says 100% acrylic (Anti-Pilling Fiber), so I am hoping it is not going to be all fuzzy after the first wash. The colors are very cool and I like the way the hat turned out. The pattern is the same I used before, 2k 2p on the ribbing, then just knit till the end. However, I looked for a long time until I came upon a free pattern on Ravelry indicating different kids sizes. 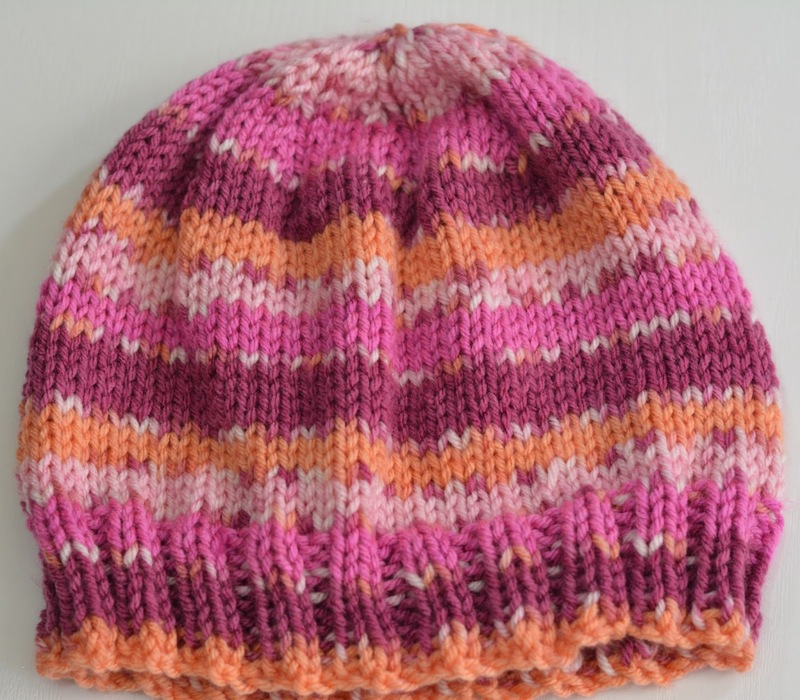 Click here for the pattern, which is called 500-Hats Recipe by Sue Caldwell. I bought another skein of this one as I am already making a bigger hat for another niece; also purchased teal and blue mix to make one for my daughter-in-law, as well as red and black for my boys. They are fun to make... easy take-along project, too. Once I have more time, I will try more intricate patterns. For now, I will zip along and relax as I knit these. Ohhh I wish I could knit!!! I love these hats....can't wait to see the teal and blue mix. The variegated yarns are so fun!!! So cute Denise. I love the colors.